British Airways have instituted a new policy of annoying customers like me by making them pay for coffee. Although, to be fair, it was Marks & Spencer coffee and it was much nicer than the usual BA coffee. Naturally, as is the case for most forward-looking of retailers, they do not take cash, so I paid with one of the many cards about my person. 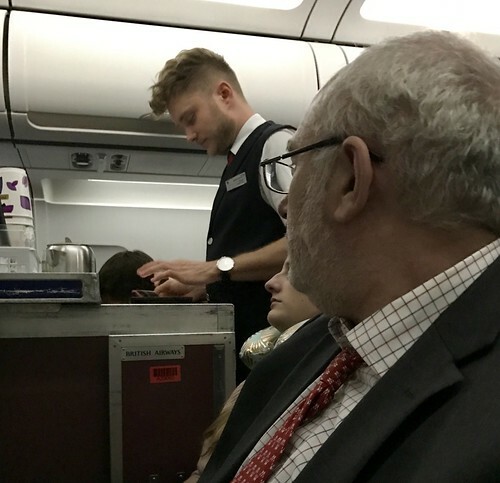 As it now takes them ten times longer to serve the coffee, I took pity on the cabin crew and decided against my experiment of buying with contact, stripe, contactless and Apple Pay to see how the different media worked in the flight, and I just opted for a single stripe-based case study. BA are not alone in opting out of the overheads, annoyances and inconveniences of the industrial age cash economy. Perry Kramer, vice president and practice lead at consultant Boston Retail Partners, contends that as many as four-fifths of (US, I presume) retailers are already “largely cashless”. Still, it’s a big step to go from “largely cashless” to “cashless”, as many retailers are doing. You can see the attraction. If you are largely cashless, you still need a cash register, you still need to reconcile at the end of the day and you still have to go to the night safe on the way home. To stop all of this unproductive nonsense you need to stop cash altogether. If you do, the benefits are not limited to safety, security and a quicker trip home. The company says that employees can perform 5% to 15% more transactions every hour when they don’t have to handle money. There’s a bigger context to the retailers’ moves away from cash, though, and that’s the moves away from POS altogether. As the payment becomes invisible, so does the card reader. I’ve never been to Sweetgreen, which I understand provides salad-based offers to busy office workers, but I will make the effort to reward their futuristic stance next time I am near one and between proper meals. A great company, no doubt, but when it comes to payments, I do not see their trajectory as unrepresentative at all. Apps and chat are steadily encroaching. Domino’s Pizza, which launched a “zero-clicks” pizza ordering app earlier this year. In the past, the company has baked ordering into Facebook Messenger, Twitter, Siri, Amazon’s Echo, Google Home, smart televisions, and even Ford Sync. In the third quarter this year, Domino’s revenue grew 16.9% year-over-year. Back to BA. As I said earlier, they don’t take cash so I paid by card. 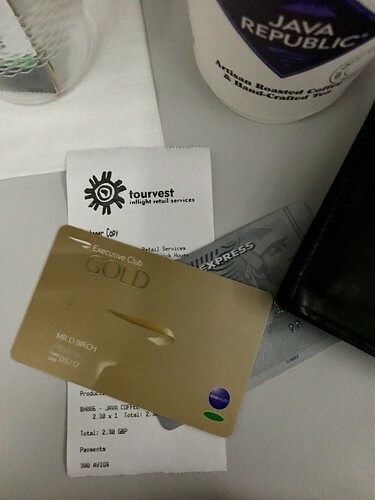 What I didn’t mention was that the card was a BA Executive Club card and that the currency was Avios, their “rewards” points. Interestingly, when I last paid for something on board with a payment card I had to through the rigmarole of showing my passport as well as signing the transaction. But with my Gold card it was just swipe and go. Quick as you like. At the time of writing (three days later), these 300 Avios have yet to be deducted from my account, so I suspect the system may not be real-time. I will see if I can double-spend the Avios on my next flight and then write to BA to suggest they consider the blockchain for future implementations. Meanwhile, I will use the remaining gazillion Avios to take my wife on a lovely trip to her home town this summer. Let’s go book a flight right now! Oh well. I will buy her a coffee instead.